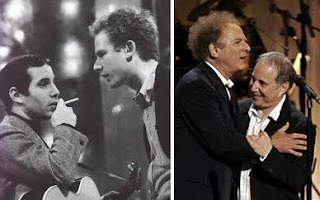 Art and Simon Garfunkel have grown old - but their lyrics and voices still tame countless. But may have been a surprise for Simon, when Art read out something specially written for Simon on his birthday. "We shine for each other - its still our favourite game" - Art tells Simon on his birthday, both as a tribute for almost life long association and the respect the duo has received from their audience since they started singing together. Listen to Art singing for Simon here ! !